Though they are classified as carnivores due to their skull structure and teeth, kinkajous are primarily frugivores, but have a 5 inch long, extensible tongue which they use to supplement their diet with insects and nectar. Kinkajous are difficult to spot in the forest and have often been seen hanging upside down by the tail whilst feeding. Indeed, the Kinkajou is the only member of the Procyonidae family to have a prehensile tail (adapted for seizing and grasping) used for balance and support. Kinkajous are arboreal, living in the forest canopy and strictly nocturnal. They spend the day sleeping in holes in trees and will usually be active between 7pm and midnight, and again just before dawn. Though the species was thought to be solitary, it has recently been found to have a rather complex social system.The social groups of the Kinkajou usually comprise of two males and a female, and may also include juveniles and sub adults. Before separating to forage at night, group members spend time grooming each other and socialising. Kinkajous are territorial and maintain territory boundaries through scent marking, as they have large scent glands on their throats and the sides of their jaws. They play an important ecological role in the forest as active seed dispersers and plant pollinators, as they inadvertently collect pollen on their faces whilst feeding on nectar from flowers. 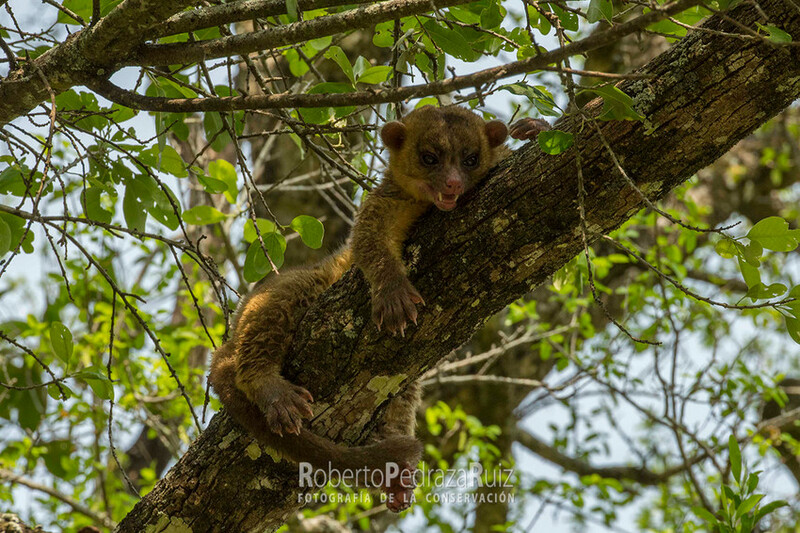 The Kinkajou is dependent on forest and found throughout the neotropics, from Southern Mexico to Brazil. 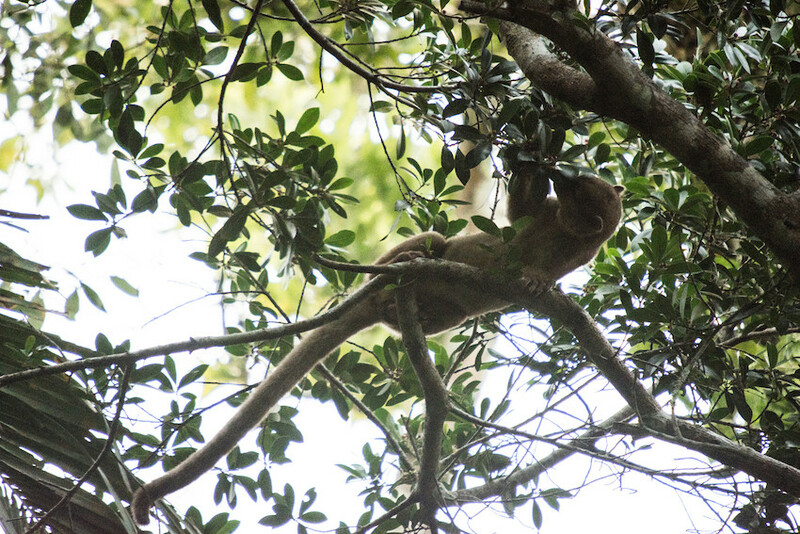 While it is found in a range of forest types, from true rainforest through to savannah forests, where the habitat becomes drier and more open Kinkajous are not found. The species is arboreal and so numbers may be declining due to deforestation. Kinkajous are also hunted for meat and fur, and are victims of the pet trade.